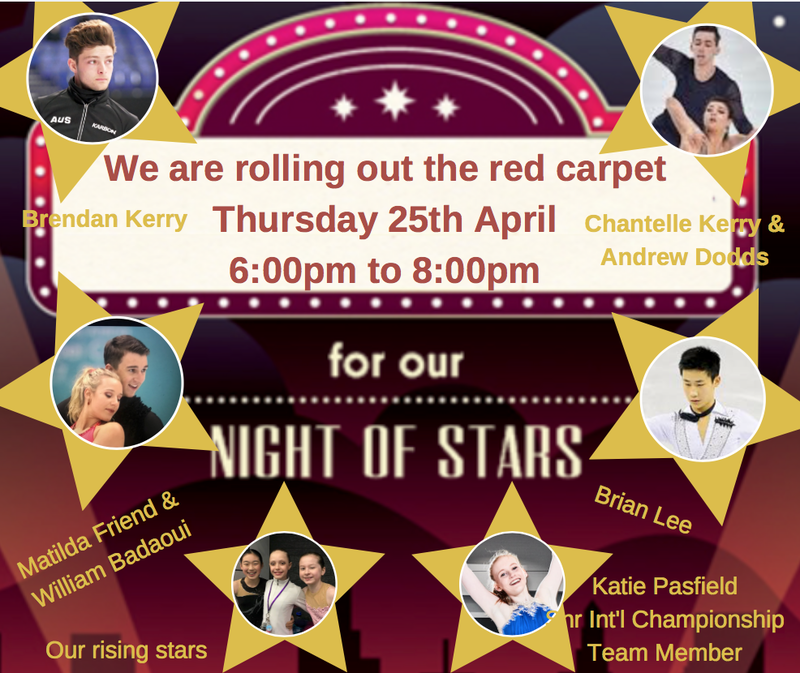 Come along to our "Night of Stars"
Come along and watch some of Australia's best figure skates performing in our "Night of Stars". Chantelle Kerry and Andrew Dodds: Australian Senior Ice Dance Champions and 2 xWorld Championship team members. Katie Pasfield,2016 World Junior Championship representative and 2018 International silver medalist. Meet your favourite skaters after the show during a meet and greet session.